The first time I ever heard of a Himalayan Salt Lamp was when my daughter began Palliative Care treatment for her chronic pain. I had no idea what it was or how it would help. It looked like a glowing beautiful rock, but I didn’t get how it would help her at all. Her doctor explained that part of what keeps my daughter’s pain elevated is that she can not fully relax and that the Himalayan Salt rock will help her with this as it releases negative ions into the air which in turn is supposed to help you feel more tranquil and relaxed among many other benefits. I was so skeptical as I didn’t see how a pretty glowing rock could help my daughter relax and release her body tension that is always held tight with pain. Each time she came in she would sit in a dark room with just the lamp on and I would sit with her. I have to admit it was peaceful and relaxing to sit in the glow of the salt lamp, but I seriously doubted I would see my daughter loosen up and relax. Well, she did. Every time she spent time in the room she would slowly relax and then she fell asleep every time. For her this was huge because she is always uncomfortable, so falling asleep is not easy for her. I asked the palliative care nurse who specializes in Reiki what other benefits the Himalayan Salt lamp provides. She explained that when the crystallized salt, mined from the Himalayan Mountains, is heated by the bulb inside and the negative ions are released they clean and deodorize they air, reduce allergy and asthma symptoms, ease coughing, increase energy levels, help you sleep better, and help you relax and release tension throughout the body. Following a little of my own research, I decided I needed to give this a try to help my daughter. I was sent a salt lamp from Himalayan Salt Shop to try out and placed it in my daughter’s room. I am not an expert on anything, except for my daughter’s condition, but I can say that she seems to be able to relax better when she goes to bed or goes to rest when her pain is too severe. She feels a calming and relaxing difference and that is huge for her and for me. I do believe that it takes more than just medicine to help with chronic pain. I was sent the 5-7 pound lamp from Himalayan Salt Shop. It is the perfect size for a bedroom or small sized room, measuring approximately 7-8 inches in height and 5-7 inches wide. I love the warm glow it emits whether your room lights are on or off! 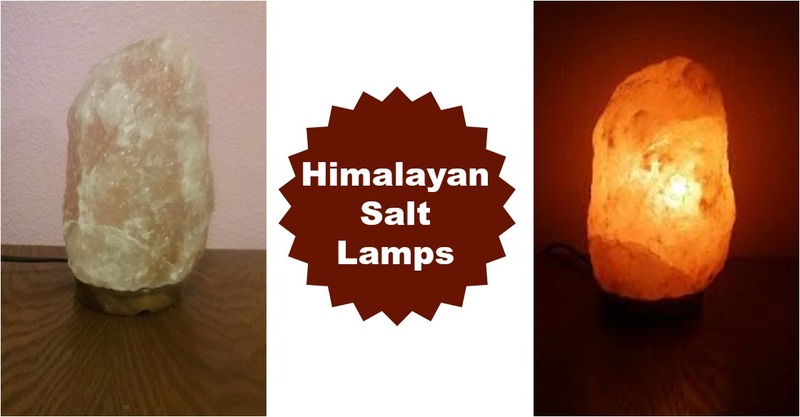 Himalayan Salt Shop offers a variety of Salt Lamps (crafted shapes and natural shapes), Salt Lamp accessories, a valuable information center and much more. You can find Himalayan Salt Shop coupons and plus earn 10% cash back when shopping through Sunshine Rewards. ***For a limited time you can save 20% with coupon code BFCM2016. Ends November 29, 2016! From time to time we accept Guest Posts from our readers and friends. Contact Tricia for more information.